I have a very simple question. I would like to have brighter headlamps on my 2015 FIT EXL. I don't want to spend alot, or use a pro installer, just plug and play. Can I simply replace the headlamp bulbs with LED? Will the DRL still function as they do now? 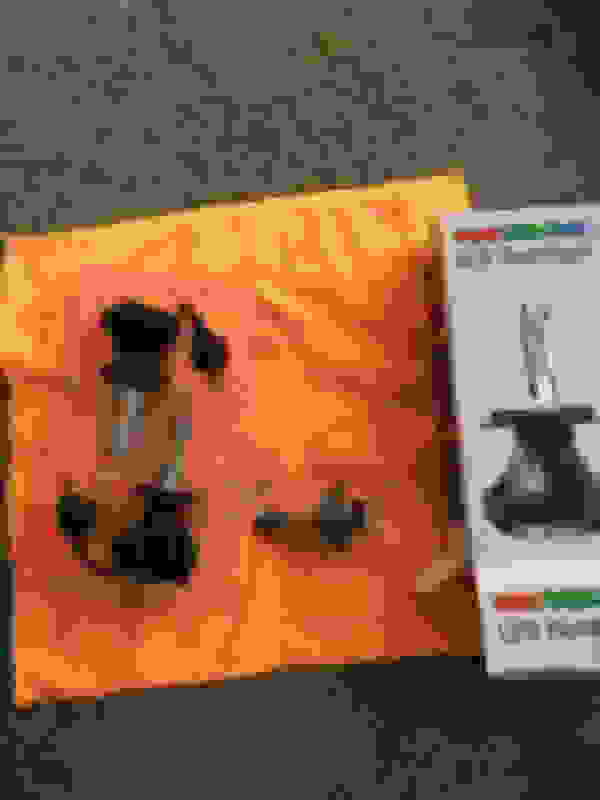 Is there a bulb that will last for a reasonable amount of time as compared to the OEM bulbs currently in the car? Installation was as simple as replacing a headlamp bulb, a 10 minute DIY job. The stock dust shields fit. The DRLs still work, although I can't speak to the long term effects of pulsed DC on the LEDs. I am convinced that using conventional halogen bulbs on pulsed DC as DRLs shortens the life of the high beam filament, but I've only had the LEDs installed for a few days so lifespan is unknown as of yet. Night illumination and color temperature is good, very white light, with good beam pattern and reasonably sharp cutoff on low beams. High beams seem to lack penetration, but it's hard to tell as I've only been able to try them on dark and rainy nights so far, with wet roads. 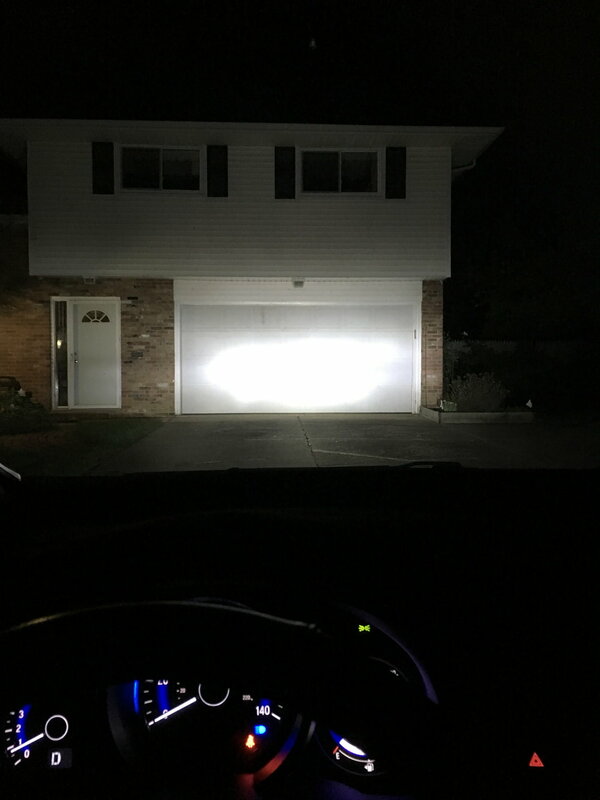 Low beam performance is excellent. No "error" messages so far, either. Last edited by Uncle Gary; 01-24-2018 at 12:23 PM. Can you go over the installation instructions? Dust shield? Seems like a bulb change might be a little involved to me. 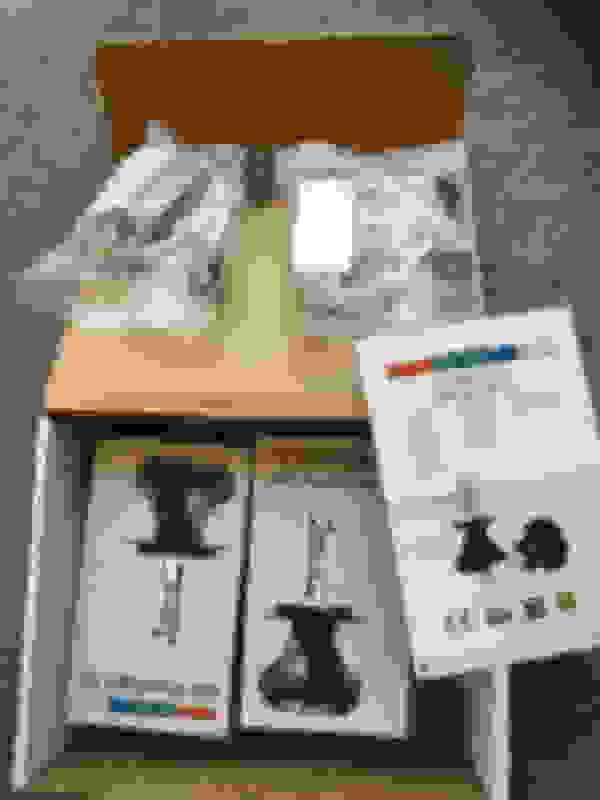 You can download an installation manual from the superbrightled.com page. It isn't very good but it isn't pathetically awful either. It doesn't tell you how to deal with the rubber dust seal. Basicly, most quality LED headlamps come apart in a way that makes it easy to use it with the large rubber dust seal that comes with the car, despite the LED being larger than the orig halogens. You separate the 3-pronged metal plate from the rest of the unit (which has the fan housing or heatsink housing and has the stalk containing the LEDs), and then you use the wire spring clip on the car's headlight housing to mount the metal plate, alone, onto the car's headlight housing. Then you put the rubber dust seal over the LED stalk and heat sink unit, and then you screw these back onto the metal plate. Then you can easily push the rubber dust seal into place into the headlight hoousing - you don't have to stretch it over the heat sink, because you have put it over the unit before attaching the unit to the metal plate. You don't have to alter it in any way. There is also usually a couple of set screws you can loosen, to allow you to rotate the stalk so as to tweak the beam pattern. After you tweak, you re-tighten the set screws. Many decent quality units don't include any instructions, causing people to think they have to modify the rubber dust seal in order to get it on, or have to leave it off. Or the English instructions are written by people who don't speak English well and are incomprehensible. Superbrightleds, being a cherry-picker company, includes some instructions. Last edited by nomenclator; 01-25-2018 at 12:19 AM. If you use any aftermarket LED bulb with the stock housing, you will be not only doing an illegal conversion, you will be reducing actual light performance and blinding oncoming drivers. Your stock headlamp is designed to be used with the stock halogen bulb. 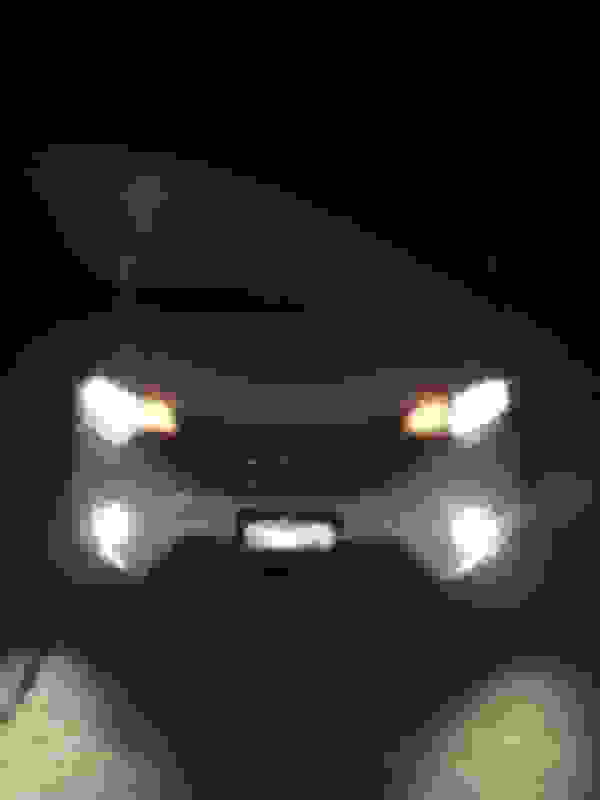 You have no legal, safe, and effective way of "having brighter headlights". The reason they as bright as they are is because it is the brightest you can legally have in this kind of passenger car. Stay with the stock bulb, don't blind oncoming drivers, your don't want a minivan full of kids hitting you head on at 75 mph killing you and kids inside, do you? If not, read what I wrote above. i did the SuperBrightLED package, easy to install, just need to find a place for the resistor packs. Did the fog lights too, no need for resistor packs on fog lights. I didn't need the headlamp resistor packs for my '15 Fit. The lamps worked fine without them. Too bad, I'm going to have to pull them out now. Can't be breaking the law. Last edited by Uncle Gary; 01-25-2018 at 01:58 PM. I do not mean to be too dramatic with you, but the truth is, there is a lot about lights that people simply don't know. Please see this video explanation if you haven't seen it yet. There's a big difference between putting purple HID bulbs into a 90's Civic and putting good quality LED bulbs designed to mimic the light pattern of the halogen bulbs. Some of them actually give a very good upper cutoff, which is the most important part of not blinding oncoming traffic. You may also find that new bulbs even with a good pattern may need to be adjusted up or down- mine were something like 10 degrees high, enough that it would certainly blind people. Yes, it's technically illegal. So is driving even 1mph over the speed limit, or riding the vast majority of Harley motorcycles at any speed at all, since so many of the owners embrace straight pipes as part of the lifestyle. If you find some LED bulbs that help you see without blinding people, very few people will care. Edit- john, I was typing while you were posting that video. I'm not trying to say you're entirely wrong, just that it's possible to put aftermarket lights in that blind people, aftermarket lights that don't blind people, and to aim lights correctly to avoid blinding people. As long as it's done in a way that doesn't harm other drivers, I don't see this as a problem. The HID in a halogen housing is probably the worst possible combination. Actually, the way the laws are written in some places, it may even be illegal to use factory lights and housings from other models in a retrofit, no matter how good the quality. Last edited by hasdrubal; 01-25-2018 at 07:18 PM. I'm fully aware of illegal HID kits. There's a few guys around here who run them. They're easy to spot. It's usually a Chevy pickup, jacked up so the headlamps are already at eye level, then they add those sickly blue/green HIDs aimed right out as far as they'll go (they HAVE to do that, because there's no high/low beams on them). If you don't mind. Which superbright led did you use for the fog lights? Some of them actually give a very good upper cutoff, which is the most important part of not blinding oncoming traffic. The upper cutoff with the stock headlamps was so low on my Fit and it drove me crazy. I jacked the angle up a bit and was real happy with it. I did a few drivebys with the other car to see how blind I'd make the other guy but it really wasn't a problem. That is the original one on the left. Static bag with part number on right. When in stalling the Head lights LED be aware that there is a correct way to install them, otherwise they can be installed upside down causing the other driver to be blinded. There is a little screw on the LED that registers the correct way to install them, the instruction sheet makes note of it. lots of useful LED info here! can you show a few photos of the "proper" way to install the LED? Can't speak to LEDs, sorry. I chose the SilverStar Ultras to stay legit and the output is great on high and low beam. I know some folks here had some concerns about longevity on those, but I think that was the ZXE. Plug and play - no mods. Just an alternative if you just want better output and a little whiter light. As I am getting older, I don't enjoy the bright LEDs from other folks. Superbrightleds now has two H4 LEDs that I think are suitable, product # H4-HLV4, and product H4-HLV5 which is $10 US more, and brighter, and has a lower color temperature, 6500 Kelvin as compared to 7800 for the HLV4's. It also comes with filters to make the temperature bluish or amberish - can't find the color temperature with the filters on. 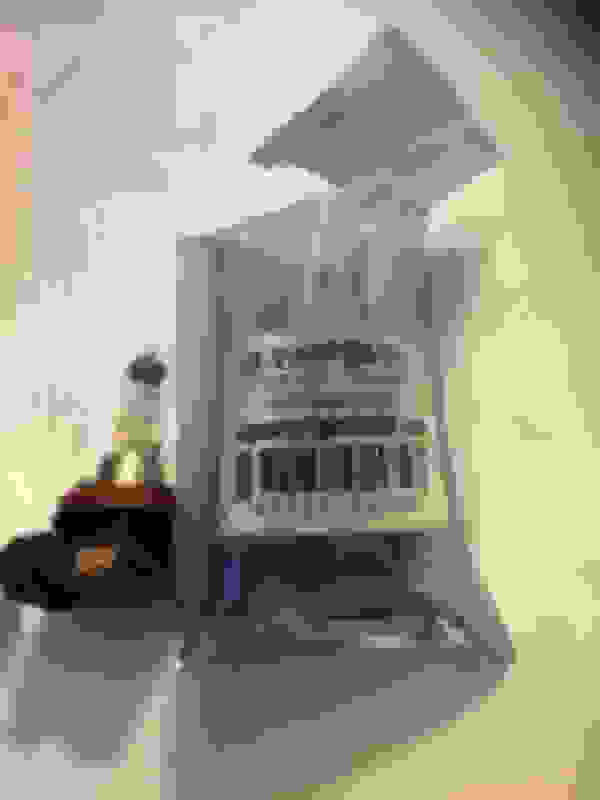 Halogens vary from about 2400 to 5000 Kelvin. 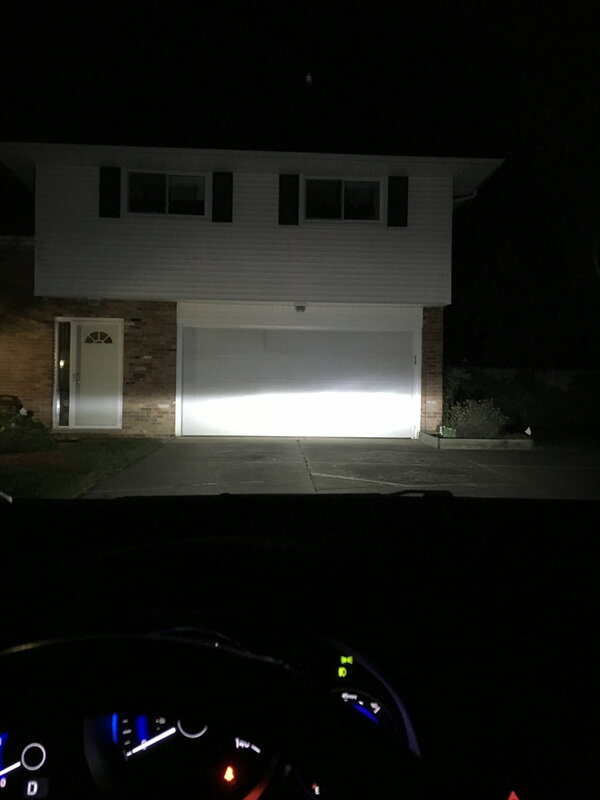 Unless the beam adjustment of your headlights is very very far from the proper adjustment, my guess is that cops aren't likely to notice it; I think they are more likely to notice color temperature. If your LEDs are closer to 5000K, such as the very expensive VLEDs are, I think cops are less likely to wonder if you have illegal headlights, and stop you. That is why, personally, I would stay away from the HLV4 from superbright LEDs and prefer the HLV5. As far as annual safety inspection goes - if the inspector doesn't like your LEDs you can always put the halogens back in, and then take them out after you pass inspection. While LEDs may be illegal, as long as they are the type with LEDs that are positioned to mimic halogen filaments, and as long as they aren't terribly badly adjusted and getting into oncoming driver's eyes and blinding them, I think that they should be safe - safer than the original halogens. I personally am not interested in having headlight that "look cool." I am interested in headlights that help me see better, don't cause oncoming drivers to see worse, and thus help to reduce the chance of collisions. I could be wrong but think about 5000 K is the best temperature for being able to see the most, and at the same time is the least likely to get cops to notice you and wonder if maybe they can't give you a ticket. That said, if you get into an accident and the other drivers insurance company somehow notices that your headlights have been change, I don't know if that will get in the way of finding the other driver liable. Nor do I know if your own insurance company, if you have collision insurance, may be less likely to pay for collision damage to your car. I certainly wouldn't volunteer to either insurance company that I changed the lamps. If they noticed the lamps were changed I would say I put them in because I thought they would be safer, and had no reason to think they were illegal. Certainly the seller did not tell me they were illegal. Whether that would help or not, I don't know but I'm pretty sure it is better than saying, yes I changed the headlights and it occurred to me they might be illegal and I put them in anyway. I think if you discuss all this beforehand on fitfreak, it is unlikely any insurance company will find the discussion and use that to claim you knew they were illegal. Esp if you are using a pseudonym here. Last edited by nomenclator; 01-27-2018 at 04:47 PM. ^^^^FWIW, the HLV4 lamps are rated on Superbright LEDs site at 7200K, NOT 7800K. The package however says "6500K," so I'm not sure exactly what the color temperature measures, I can only report that they look white to my eyes. I'm pretty sure that the local constabulary has better things to do than measure the color temperature of headlamps, so long as they're "white" and correctly aimed. Last edited by Uncle Gary; 01-27-2018 at 06:10 PM. Charming, superbrightleds can't get their information straight. You do not have to "measure" the color temperature to notice that someone's car has a distinctly different looking headlight, with a readily noticeable color difference, than most of the other cars, and that is the kind of thing is what draws the attention of the local constabulary.